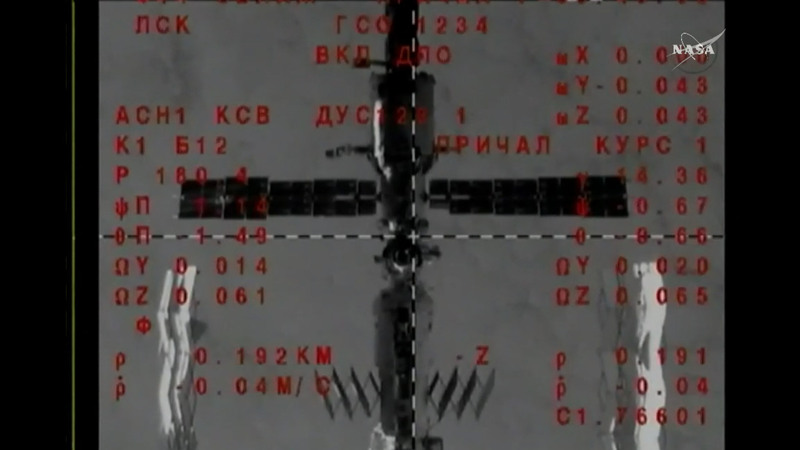 The Soyuz MS-06 spacecraft docked to the International Space Station at 10:55 p.m. EDT while both spacecraft were flying 252 statute miles over the Pacific Ocean off to the west of Chile. Aboard the space station, Expedition 53 Commander Randy Bresnik of NASA and Flight Engineers Sergey Ryazanskiy of Roscosmos and Paolo Nespoli of ESA (European Space Agency) will welcome Soyuz crew members Mark Vande Hei and Joe Acaba of NASA and Alexander Misurkin of Roscosmos when the hatches between the two spacecraft are opened following standard pressurization and leak checks. Watch the hatch opening targeted for 12:40 a.m. and welcome ceremony live on NASA TV beginning at 12 a.m. on the agency’s website. Wishing all the crew members good flights on ISS, no matter what their mission is concerning the Station, and the Crew and all mankind. Have a great journey, even better than past crews have enjoyed. Les deseo a la Misión de la NASA: a su Tripulación élite el mayor de los éxitos a sus objetivos de escala Global e Internacional. Su forma de Comunicación e Interacción con el publico es muy cercana, reconfortante y de evolución continua. Desde Argentina los admiramos y aprendemos de cada paso firme y señales solidas de ciencia avanzada y aplicada. Felices Fiestas – (Argentina los ama).